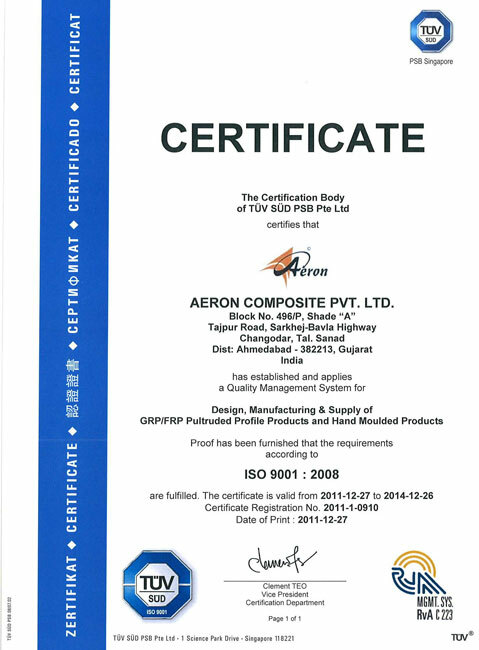 Aeron composites is among leading GRP/FRP Moulded Gratings Manufacturers in India well known in the industry for giving corrosion resistant, high strength, safe and durable Fiberglass molded gratings to its esteemed clients worldwide. 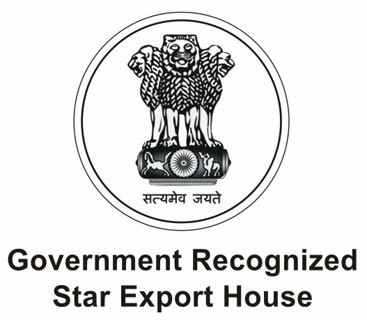 Manufactured using ultra grade resin systems, out Fiberglass molded gratings are especially designed to give optimum performance without compromising on international quality standards. 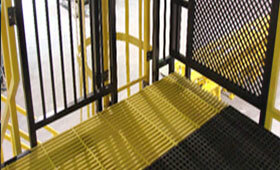 Aeron Fiberglass molded gratings are light in weight and can be quickly fabricated and installed. 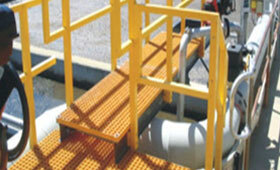 Clients can avail GRP/FRP Moulded Gratings with us at industry leading prices. 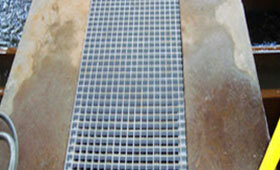 GRP/FRP Moulded Gratings have low installation and maintenance costs as compared to steel. They are non resistant to chemicals and UV stabilized assuring best action as compared to conventional metals especially wood. Besides available GRP/FRP Moulded Gratings, we do also offer customized Fiberglass molded gratings to our clients on special request. You just have to explain your requirements to us and we are ready with cutting edge industrial solutions to help you. 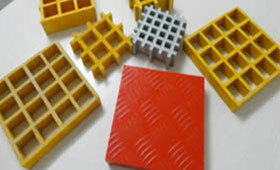 To know more on to our GRP/FRP Moulded Gratings and customized solutions, stay tuned with us. For Customised Size and loading standards please contact us. 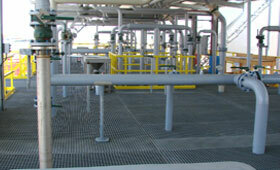 GRP/FRP Gratings are manufactured by wet moulding and hot curing in a heated mould. The reinforcement consists of continuous fibreglass roving in alternating layers, so the loads are distributed evenly in all directions. Regularly Moulded GRP Gratings have a polyester resin matrix. Glass content is approximately 35%. Standard colours are green, yellow or grey; other colours are available according to RAL. Applicable for our manufactured GRP/FRP gratings, we have special support angles which are concreted into the basement directly. Easy to assemble without any special tools. A pultruded GRP angle mm can be used as a frame for all GRP gratings. Stainless steel fixing sets can be used for all standard GRP gratings and support constructions. To prevent GRP gratings perfectly against lifting and sliding away each panel should be fixed on at least four points. 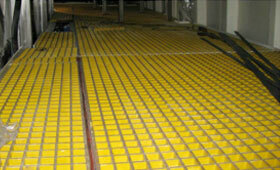 The first step to ensure Maintenance free flooring solution is Aeron FRP Grating. Having an appropriate resin makes highest performance in the most demanding circumstances. Aeron FRP Gratings are available in four standard resin grades which are highly economical while they maintain standard of performance.